In any part of the world, you know you’ve made it when your face ends up on the back of a bus. Sunrise Bus Company in Vaitele shows what it looks like when you put an icon on an icon. 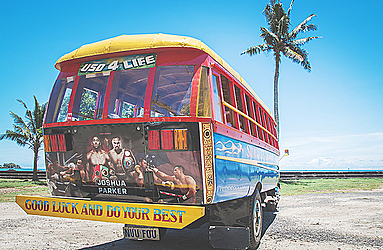 The transport company showed their support for one of Samoa’s favourite sons, Joseph Parker, by having a Parker themed bus in support of the highly anticipated boxing match between Parker and Anthony Joshua. 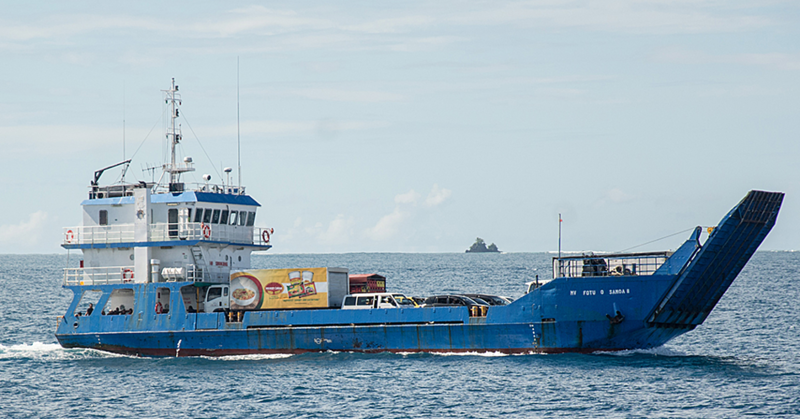 According to the bus driver Sefo Sefo, the bus has been popular for passengers as well as onlookers who enjoy seeing the tribute bus for the boxing champion riding around town on its route to Nuu. “Passengers and people on the street were commenting that the image on the bus is good, this is our way of promoting and showcasing the fight,” said Sefo. 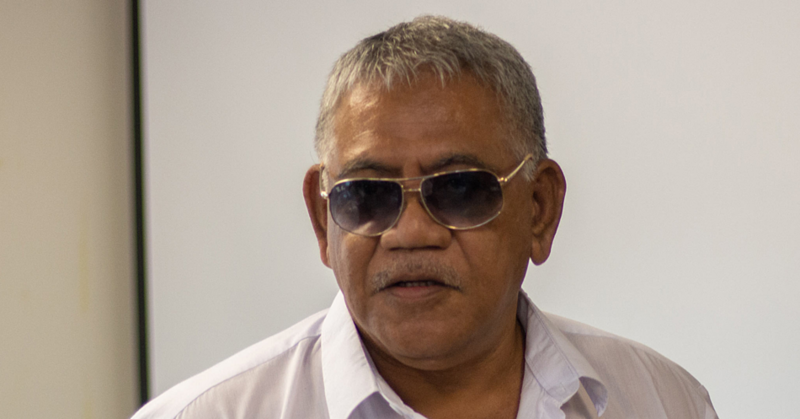 Bus company owner, Togisau Chansau said he wanted his company to come out and support the champ in the best way they can. 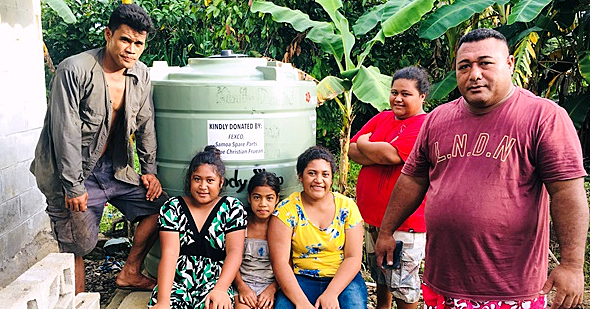 “The reason we put up the artwork is because we want to support the fight even though I’m not getting any money out of it, but this is my way of showing our company’s support for Samoa’s son,” said Chansau. Chansau had a special message for Joseph Parker on the tribute bus. “We wanted to use local artists, it wasn’t done by the company it was done by a man named Steve,” he said. “That’s why I put that message on the back of the bus ‘do your best’, we are all Samoans and Joseph is one of us.